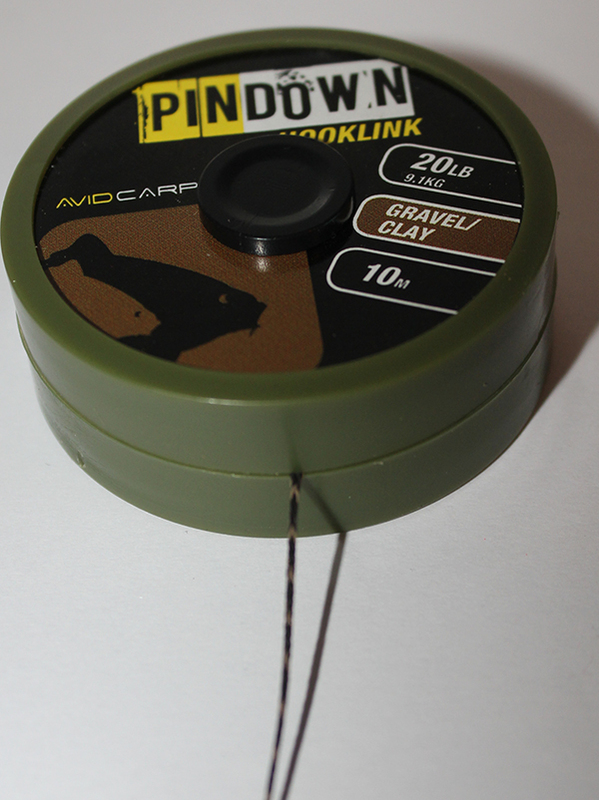 Avid Carp PinDown Hooklink, Is It Any Good? This week’s review is Avid’s Pindown hooklink material. We find out what rigs it’s ideal for, the price, what you get for your money and it’s overall performance. We compare it to other braided hooklinks on the market and find out what captures have been accounted for using Avid’s Pindown hooklink material. Originally I bought this hooklink as I’m currently fishing a membership lake that I believe the carp have sussed out commonly used rigs as I even saw one come close to my rig then swim off after seeing some thing I guess screamed danger to the carp. After seeing this I was on a hunt for a less obvious rig presentation and of course changing my bait to a more natural darker bait may help too. I believe that the suppleness and heaviness of the material of Avid’s Pindown will make the rig a little more unnoticeable to the carp so that’s the reason I purchased this hooklink. The Pindown hooklink by Avid is not exactly brand new as it came out in around June 2013 but it’s new to myself as the last few years I’ve solely been using coated hooklinks such as Korda’s N-trap soft so using the Pindown hooklink was a refreshing change. What captures has it accounted for? The hooklink material has been extensively tested by the Avid team way before they put it out in the shops and has accounted by a huge amount of captures featured in top carp magazines and videos. What rigs is it good for? It’s described as a PVA bag rig material but I think it’s a great all rounder ideal for simple but effective hair rig bottom or pop up rigs and even combi rigs. The only rigs it wouldn’t be ideal for is hinged stiff rigs, any helicopter style rig and of course a chod rig. The material is extremely supple and heavy which is ideal for gravel, silt and weedy lake bottoms. 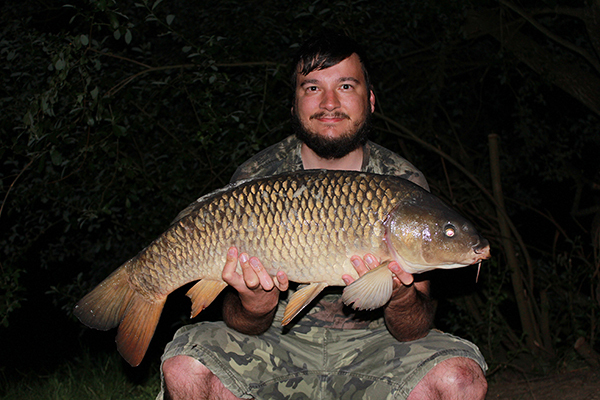 Being supple also means the rig will follow the contours of the lake bed making the rig undetectable to the carp. How much do you get for your money? A spool of Avid’s Pindown contains 10 meters of hooklink material which can make a ridiculous amount of rigs. The braid is very well made and looks even better on a lake bed. How does it compare to other braids? I’ve used ESP Sinklink since I started fishing because of it’s simplicity and just works for me. But I really do think the Avid Pindown hooklink is an evolved version of the Sinklink because of it’s heaviness. Because of its heaviness there is really no need to use any putty on the rig to pin it down correctly, hence the name ‘Pindown’. You can find a 10m spool of Avid Pindown for around 9/10 pounds which is really the average price for hooklink material these days so I think for the quality of the material it’s real value for money. Below is a brief list of positives and negatives of the Avid Pindown hooklink so you can get a real good idea if this hooklink is the one for you. You can find it all good tackle shops or you could buy it a little cheaper from Amazon like I did. I hope you enjoyed this review of Avid’s Pindown hooklink material and if you have found this helpful why not share it with your friends on Facebook or Twitter. If you have any questions about this hooklink material leave a comment below and I’ll be happy to answer any question you have as I have been using it for while now. If you like this review and want to find more like it be sure to check out my other carp tackle reviews.